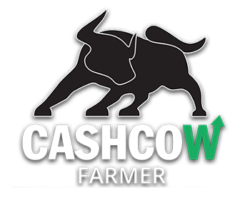 Cash Cow Farmer is an innovative software designed to help farmers profit, even during volatile markets. With this software, farmers can get a cost breakdown of each field to see losses and profits, see at a glance daily what your breakevens are and know the best time to sell to ensure profitability. With this information, you can make informed decisions to cut costs and maximize your bottom line and much, much, more. We understand how stressful volatile markets can be! See Daily Your Break-Evens And The Market Trends! With bigger price movement in grain, price volatility is a lot higher nowadays. There’s more money in the markets. A lot more speculation in grain has lead to an increase in volatility. Farmers have to be more prepared to sell this year’s grain, last year’s grain and next year’s grain at a moment’s notice. Cash Cow Farmer gives you a direct connection to the future’s market, which will help you know when to sell for maximum profits. Get a Field Cost Breakdown to ensure profitability! With this feature, you’ll be able to identify which ground is delivering the best yields so you can cut the losers from production. You can also cut costs when splitting out your fertilizer, herbicides and save money by tracking seed purchases down to the acre. With this information, you’ll be able to make more profitable adjustments! Reduce Costs and Save Profits! Wouldn’t you like to see visually where you are and aren’t making money? Cash Cow provides data that is vital when making rent negotiations and financial adjustments. You’ll be able provide data to your landlord to gain negotiation leverage. Here Is How Cash Cow Farmer Software Has Helped Farmers Just Like You! In this environment you have to know your costs down to the penny and when the marketing opportunities come you have to be ready to pull the trigger, with Cash Cow it’s enables us to look at our numbers and figures to know if we made a profit. We’re making better decisions and gaining extra profit with accurate numbers as a guide. Reviewing budgets and inputs on all of our fields is crucial to knowing the strengths and weakness of our entire operation. We’re using the program to change how we apply fertilizer to specific fields to get the maximum out of them. Cash Cow Farmer helps you know what your break-evens are and when there’s profits. This helps me make my decisions more easy when it comes down to which herbicides to choose, when to spray, or how much fertilizer to buy. All these things help me to be more profitable. Cash Cow Farmer helped me learn which ground is delivering the best yields.It gives us the ability to split out our fertilizer and seed purchases and actually track down to the acre where those were spent. It’s pretty easy to take our total acres and total fertilizer that we bought and do that math, but you wouldn’t be able to track back to where that actual money was spent without Cash Cow Farmer. I was actually disappointed that I hadn’t started using Cash Cow Farmer earlier. Before Cash Cow Farmer, I never exactly knew where my break-even was. Once I did, I realized that I had missed financial opportunities. Now, with Cash Cow Farmer, I no longer miss profits. Cash Cow Farmer helps me see my break-even at a glance every day or once a week along with where the markets are. I can use that information to market my grain throughout the year and get the best price. It’s so much better than guessing. Now, I can set my floor at that price and make extra money.